A decade ago a friend bought me a copy of Edward Tufte’s iconic book Beautiful Evidence. The professor emeritus of political science, statistics, and computer science at Yale University has spent his career teaching others how to turn information and data into elegantly crafted drawings and graphics – and even more, doing so in a way that illuminates in interesting and unexpected ways. Inspired by him, I set out to learn more about visualizing data, and how to use it in everyday life. 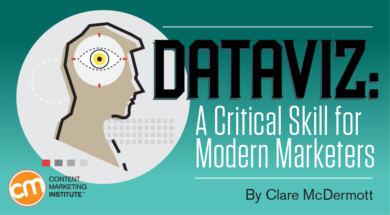 The subject area is massive and at times overwhelming, but data visualization (sometimes called “dataviz”) is among the most critical skills for marketers to understand at least at the basic level, if not to study in more depth. Let’s walk through the what, how, and why of data visualization for marketing. What’s the application for marketers? Let’s explore two practical and easy-to-understand ways marketers use dataviz as well as real-world cases showing how it’s applied. The scenario Scott explains – living at a time of data abundance – is particularly true for marketers. Whether we are reviewing our analytics platforms, mining user data for insights, or reviewing sales performance to understand what variables are driving (or dampening) growth, visualizing this information is critical to make sense of what can be overwhelming detail. Among the most interesting examples I’ve read of late is a case study published by Tableau (the data visualization software company) about its work with outdoor retailer REI. (You can read the full case here.) Managers across REI visualize owned data – online and in-store transactions, operations information, buyer demographics, etc. – to extract insights and improve customer experience. Maybe you’re curious about using marketing data, but deep marketing analytics is a step beyond what you’re interested in? The use case nearest to my heart is publishing data as content marketing. Research can take many forms. 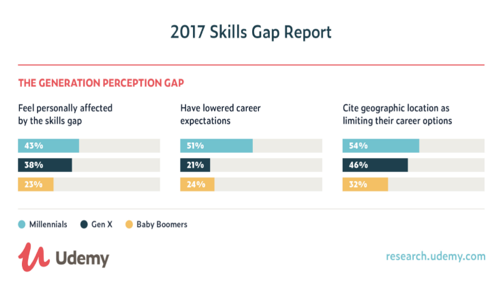 Some companies host surveys to gather insights about their industries (salary guides and “state of” reports come to mind). Others analyze third-party data (such as public datasets or licensed data) to uncover new ideas or create interesting infographics. And still others find that their internal data can generate interesting lessons to share. Salesforce does a nice job with its research efforts in large part because of the strict information design that underlies each publication. 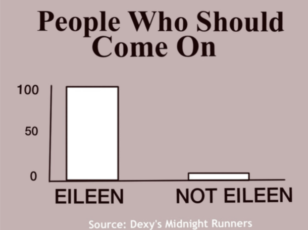 Charts and graphs are clean and easy to understand. Rather than simply restating research findings, Salesforce explains its point of view on key issues affecting the industry. Salesforce’s AI Revolution report is a great example of its design ethic. Not every viz needs to be a serious exercise in thought leadership. 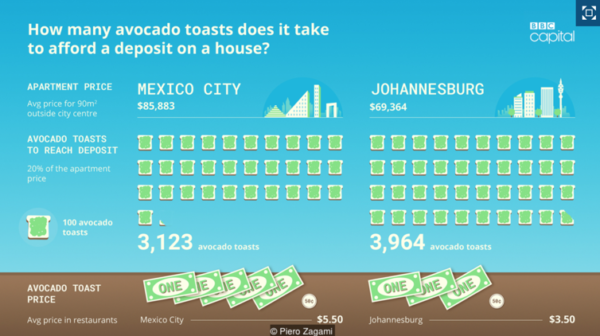 The avocado toast index is a great example of using existing data in a new and hilarious way. This is the biggest lesson of all. Great data visualization isn’t fussy or ornate. With so many tools that make it easy for marketers to visualize data, there’s a tendency to let “cool” win out over the simple stuff. Don’t fall for it. Simplicity is much more credible and appreciated than overly ornate (and opaque) visualizations. Sometimes your readers need a gentle nudge. Where should they be looking? What data point in your chart is most important? Consider adding guides to your dataviz to point out which finding is interesting or what gap is most surprising. These little hints – if used sparingly – are helpful to those encountering your viz for the first time. Color should not be decorative; it should be clarifying. Unless you are using colors to distinguish categories, do not use more than one color (or a single-color palette). For example, if you’re presenting a bar chart where one data point (i.e., bar) is most interesting, make that bar your primary color and gray the other bars so they recede to the background. These visual cues help your viewer focus on what matters. The chart from Udemy uses multiple colors, but it uses them to distinguish among generations – a good use case. The chart from The Wall Street Journal highlights huge box office sales for Black Panther by showing that film in red, and using a light blue for all other data points. Doing this ensures that the reader knows where to look on a relatively “busy” visual. The pie chart is a popular choice to visualize percentages that add up to 100%, but it’s often not the optimal choice. Beyond a few slices, it’s hard to compare the relative size of each section. 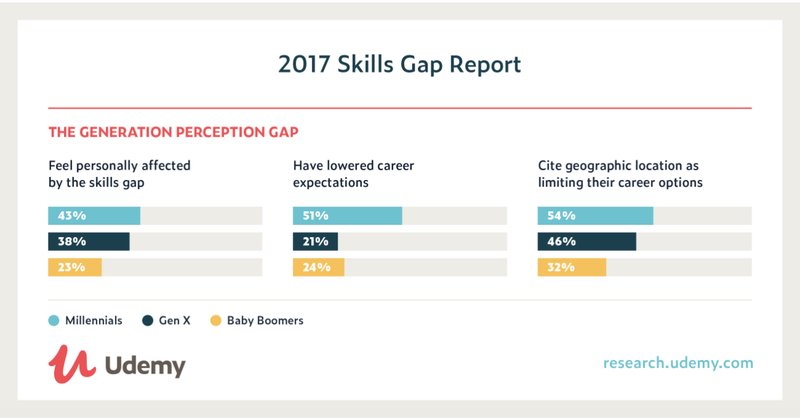 Bar charts are the workhorses of dataviz for good reason (for a longer list of variables, horizontal bar charts often work better). Departing from pie charts and bar charts, there are amazing chart types to explore. My personal favorite is the Sankey Diagram. If you’re stumped about which chart/graph to use, you may find this guide helpful. 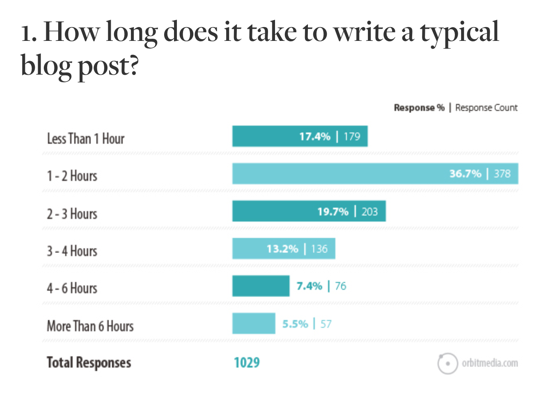 To prove that smart people prefer simple data visualizations, check out the annual blogger survey from Orbit Media’s Andy Crestodina. He uses simple, horizontal bar charts to convey his findings every year. Some of the most interesting visualizations are interactive, meaning the viewer can filter the data in new ways or uncover layers of data below each chart. The option is particularly nice when you have a sample size large enough to support comparisons of multiple dimensions. (For example, if you examine a finding by viewing responses by industry, you can only do that if you have enough people within each industry category to ensure that each data point presented is statistically significant.) Check out the gallery on Tableau Public to see how it works. The wealth of tech tools to help you visualize is nothing short of freaking amazing. I’ve found, however, that tools designed primarily for layout or design rather than dataviz are usually an exercise in frustration. I have wasted more time fiddling with some of them than I care to admit. What you really want are tools designed specifically for visualizing data, not just visualizing stuff. With a sketch as your guide, for basic visualizations I recommend Plotly or Datawrapper. (Good ol’ Excel is another option though it frustrates me quickly.) Scott also recommends Quadrigram, though I have not used it. Another tool I’m eager to try: Google Data Studio. For more advanced visualizations, Tableau is an amazingly powerful option suited to intermediate or advanced users. For those with more than a passing interest, Scott’s Good Charts is an excellent guide, as is Storytelling with Data: A Data Visualization Guide for Business Professionals by Cole Nussbaumer Knaflic. Finally, one of the most inspiring things you can do is to see what others are doing. I often visit the communities on Tableau, Data is Beautiful (on Reddit), and Information is Beautiful. Another great source of information is following data journalism sites on Twitter, such as @GuardianData, @BBGVisualData, @ReutersGraphics, @GuardianVisuals, @NYTGraphics, and @WSJGraphics. Last, but not least, have fun with dataviz. Please note: All tools included in our blog posts are suggested by authors. No one post can provide all relevant tools in the space. Feel free to include additional tools in the comments (from your company or ones that you have used). Learn more from Clare McDermott and her research-related insight as she presents at Content Marketing World Sept. 4-7 in Cleveland, Ohio. Register today and use code BLOG100 to save $100.